A shaman is an agent or living bridge between people and spirits… but beyond that, the definition gets murky. With the help of spirits, some shamans heal the sick, while others torment the healthy with curses or spells. Going into trance, some shamans channel meaningful information, while others spout gibberish. Some shamans drum and chant, while others work silently. Some shamans follow age-old traditions, while others use high-tech devices to facilitate healings or to enhance communications or to capture spirit anomalies in photos. In one regard, then, shamans are like doctors. Or like lawyers, or engineers, or musicians: They come in many flavors! Like a shaman, a doctor or lawyer or engineer or musician can have any manner of dispositions (from grumpy to light-hearted, from begrudging to kind-hearted…), which might inspire or annoy or frighten the people around them. A practitioner in any of these career paths can specialize in a small subset within a wide range of options. No two practitioners are the same… and the “best” practitioners in any of these fields are usually identified not by their credentials nor their age, but by their reputations. They establish good track records, and they (or at least the fruits of their labor) are held in high esteem by their clients, patients, colleagues, or audience. For those who are truly gifted, in any profession, word spreads. Even though the word “doctor” or “musician” or “shaman” conjures up a fairly clear mental picture in many people’s minds, no two doctors or musicians are alike, and no two shamans are alike. The worlds of spirit stay hidden from most of us during our lives on Earth, as though we each wear a pair of spiritual blinders… or as though spiritual activities happen behind a veil of some kind. A shaman usually has techniques to lower the blinders for a while… or to pull aside the veil. When that happens… when a shaman gives us a glimpse of the powers and energies coming from those subtler realms, the results can be mind-boggling, to say the least. Simply (but fairly) put, the masters of all things scientific and scholarly have been ruthlessly repressing the human spirit. from routine DOAs and DNRs to breathtaking OBEs and NDEs. So, spiritual reality may still be shunned by the intelligentsia throughout much of the modern world… but things are starting to shift. 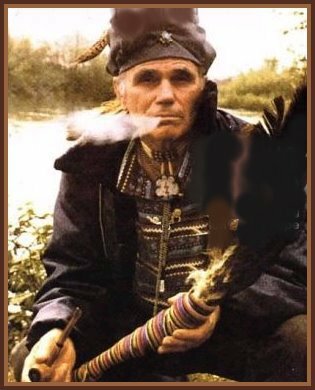 A notable example… shamanism is starting to make in-roads into one of the most agnostic professions in the world… modern medicine. My own first encounters with shamanism were in the presence of Gurumayi, a lovely, young Hindu mystic with the gift of Shakti, and through the work of George Meek, whom I’ll discuss in the next article in this series. During my ITC experiences in the 1990s, my friend and colleague Maggy Fischbach of Luxembourg had miraculous experiences that would certainly classify her as a modern, high-tech shaman. A large team of spirits calling themselves Timestream loved Maggy and worked closely with her, sending all sorts of information into our world through Maggy’s TVs, radios, computers, telephones, and FAX machines. German ITC researcher Adolf Homes had similar experiences, and in fact received several contacts through his computer and telephone from a rather troublesome spirit-world shaman calling himself Majo. On one occasion during the ITC heyday of the 90s, I, too, received a phone call from a spirit-world shaman… a negative spirit named “Afra.” I’ll share that unsettling contact in a future article in this series. Until now I’ve kept it locked away so as not to draw attention to the negative spirit group. Now it feels important to get the truth out. As the veil begins to open wider, it’s important for us humans to know what’s really over there on the other side, for better or worse… what to prepare for. That’s one of the main things I hope to determine with this series of articles about shamanism. Where in the spirit worlds do shamanic interactions originate, and what are the implications for our world? Another woman, whom I’ll call “Kate,” contacted me a few weeks ago. She tells me she is in the late stages of Lyme disease, and her body has pretty much “given up the ghost.” She says a decade ago she was healthy and vital, then a shaman put a curse on her. Since then Kate has contacted a growing number of medical doctors, psychics and shamans (some of whom help for free, others who demand a lot of money). Kate says the general consensus among the psychics and shamans is that her spirit left her body several months ago, leaving just a flickering ember working in her brain. Various other spirits and even some ETs have been moving in and out of her body… altering her personality in troubling ways. My wife Regina has done several remote healings on Kate, using techniques she’s learned over the years from a highly reputed master healer in Boulder named Damaris J. With an ability to perform spiritual healing and detach spiritual parasites, Damaris could easily be classified a modern-day shaman in the best sense of the word. These are a few of the topics I plan to explore in more depth in this series of articles on shamanism. * It’s my firm belief, of course, that doctors, lawyers, engineers… everyone is subtly influenced in their jobs, their relationships, and their lives by spirits moving in and out of our world… shamans just moreso. For a shaman, the proverbial veil is lowered so that spirits have a more direct and profound influence on our material world and its inhabitants. That veil between Heaven and Earth keeps most of us carnal humans locked-in to our five senses, and those five senses keep us focused on the material world. I think the veil was formed long, long ago, to protect us humans on Earth. If we were aware of the many spirits flourishing all around us, life on Earth would be mayhem… well… greater mayhem than it already is. 🙂 Without the veil, people might look around at the exasperating dramas going on in their carnal lives, gaze into the wonders of the spirit worlds, decide “I’m outa’ here,” and salute the Earth in the rear-view mirror. The veil helps us keep on task with our little material lives… keeps us from being distracted by other-worldly matters. This entry was posted in Uncategorized and tagged shaman. Bookmark the permalink. Thank you Mark for another great posting. It was a bit of a tour down memory lane with the reference to Gurumayi. You make very good points about shamans, and this writing is just what I needed today. It has set me into a contemplative mood about our human journey on this side of the veil. I read the link about Rolling Thunder written by Schwartz. That was a helpful reading also. His points about our exploitive relationship with our earth are very important and I hope that the many shamans who walk among us can help shift these destructive trends. Perhaps all of the creative genius at the Monsanto type corporations can be transformed and start using their creative genius to help heal our planet. I recommend that Kate look into the use of low dose naltrexone to help her ills. Also known as LDN, it is a promising therapy for a host of immune system, and other disorders. Please see http://ldninfo.org/ and http://www.ldnscience.org/ for more information. In higher dosing of 50 mg. Naltrexone is used to help people in the management of opiod and alcohol dependence. In lower dosing of 1.5 to 4 mg. Naltexone works to help a variety of ailments, as is cataloged on these websites. Thanks, John. I agree with your shaman comments, and will pass along the naltrexone info to kate……. I had posted a comment a week ago but I can’t seem to find it – it was a topic of great importance to me. It was regarding Richard Francis Burton. Did you receive it? My e-mail is FacelessDj342@yahoo.com . As a long-time reader, your comments all should be approved and posted by WordPress automatically. I don’t recall that comment from you showing up here. Did you keep a copy of it, I hope? If so, you could try posting it again. Unfortunately, I didn’t keep a copy of my comment, but I’ll re-post my thoughts here. Something that’s very important to me is clearing up the confusion regarding parallels from Philip Jose Farmer’s science-fiction “Riverworld” series and the contacts received from Richard Francis Burton by INIT – the same person who was one of the main characters in Riverworld. One person even went so far as to jump to a conclusion and label INIT as a “Science fiction role playing game that got out of hand”. Nothing could be farther from the truth. This was addressed in one of the editions of Contact!, but I wanted to weigh in as well, with my own personal thoughts. What I believe is that Philip Jose Farmer was receiving information from higher realms, but he ultimately went on to present it as science fiction. His contacts must have contained some accurate details here and there, and he had to fill in the blanks to produce his books. Even Maggy Harsch-Fischbach mentioned that she didn’t initially trust any contacts from Richard Francis Burton because of the books that had been released by Philip Jose Farmer. I chalk Farmer’s books up to a classic example of not realizing the real reception of information being passed down from higher realms. Also worth mentioning is that there are countless differences between “Riverworld” and the information received by INIT. It’s important to clear this up in order to preserve an understanding of the gravity, and legitimacy, of the miracles that were experienced by INIT and its many colleagues throughout Europe and the United States. You express a complex subject with great clarity, and your logic exactly matches my own understanding of the similarities between Farmer’s books and the Timestream contacts that deal with Richard Francis Burton. I published an article about that… in the 97/02 issue of Contact! It seconds what you’ve said here. Thanks for your timely comment. The article I published today on this site (Shamans 3) happened to be about Burton. Mark, I have a question… why hasn’t George Meeks talked from the other side. You would think that someone who championed it’s cause would be the first one to shout ” I’M HERE!”. The ITC bridge that our INIT group had enjoyed since 1995 was having serious problems at the time George Meek died in 1999. I’m sure that was the main factor why he didn’t contact our group. The Meeks have that quote from John 14:2 on their tombstone…that’s nice. That was a quote that George Meek used often when discussing his model or map of the afterlife. I heard him use it in presentations, it’s in some of his books, and he quoted it to me a few times when we were discussing his work. Thanks a lot for noticing it and pointing it out, John. It is an accurate and also a very hopeful truth. I try to share on this site only my original information and research material from the world ITC community, supplemented with materials such as pictures and quotes that are available freely on the Internet. If anyone viewing the site finds materials here that should not be shared freely, please contact me so that I can remove them.